Top (L to R): Melody Ipolito, Melanie Coppola, Nikki Bouldin, Dorie Moore, Lourdes Soto, Ciara Golliher, Heather Reeb, Jacquline Carlon. Bottom (L to R): Shelley Stuven, Pam O'Donnell, Connie Johnson. VERO BEACH – The Junior League of Indian River has announced the nominees for the 2017 Woman of the Year. Their peers nominated local women for the important impact they’ve had in our community. The 2017 Woman of the Year winner will be revealed at the luncheon taking place on Wednesday, April 26 at 11:30 a.m. at the Oak Harbor Clubhouse at 4755 S Harbor Dr. in Vero Beach. Tickets for the 5th Annual Woman of the Year luncheon are $100 and can be purchased online by April 18 at www.womanoftheyear.info. Winners are chosen in each category, and the Woman of the Year is awarded to one of the category winners. 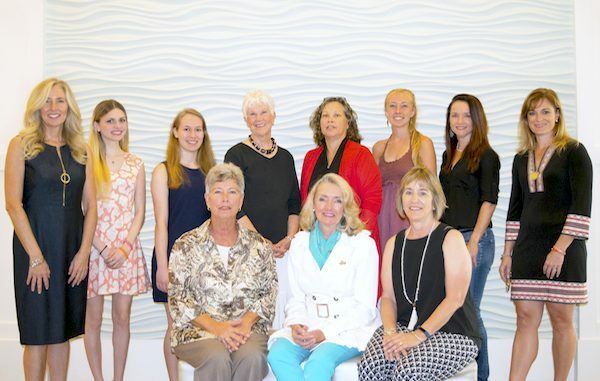 This year’s nominees are women who demonstrate high ethical standards, are recognized as role models, have a strong sense of community responsibility and are outstanding in their contributions within Indian River County. Funds raised from the event will support the Junior League of Indian River’s ongoing local initiatives like Operation Prom and community impact projects held throughout the year in Vero Beach.